The Nissan Silvia S12 generation was a sporty little front-engine rear-wheel-drive coupe/hatchback that was sold as the Nissan 200SX in the USA from 1984 through 1988. Rust, misplaced confidence, and general negligence (reporting for duty -- SIR!) have all but removed most of these from the roads, so finding one in nice original condition with 39k miles on the odometer is a treat -- but the asking price..yowza! 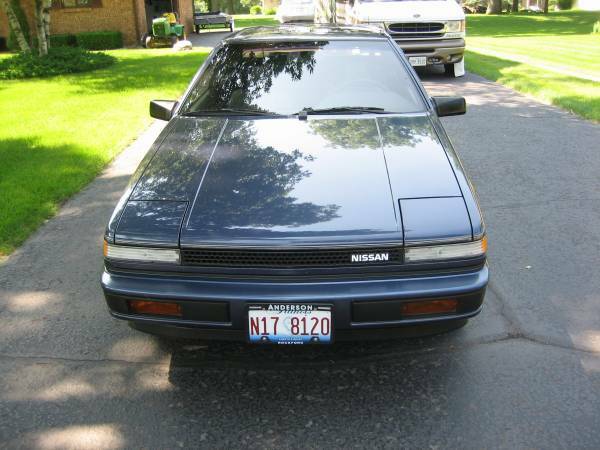 Find this 1986 Nissan 200SX Turbo Hatchback offered for $9,000 in Rockford, IL via craigslist. Tip from FuelTruck. 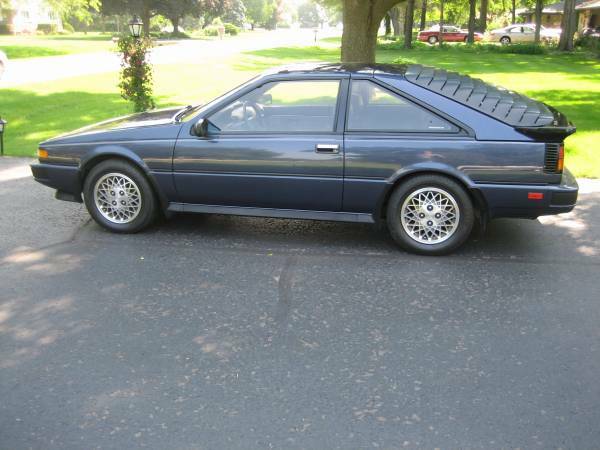 Nine large is all the money and then some for a Nissan 200SX -- but if you are putting together a collection of low mile 80s turbo hatchbacks, this is one of the nicer examples of the 200SX you will find around, but you are still looking at a car that only puts out 120 horsepower from a 1.8 liter 4-banger. Perhaps this is a car that you could get for a few $k less than the asking price -- the seller doesn't scream about no lowballs or mention firm in the price. Also noteworthy is that the seller says it is a one-owner vehicle but doesn't explicitly say he/she is the original owner...food for thought before you make any offers. I don't disagree with the modifications Tim is talking about, but there are already a ton of drift cars out there already with this platform. May as well buy one of those and tweak it how you want it and leave this original as stock. Besides, you will save money by having the previous guy pay for the upgrades. Yeah it's just an 80s car, but the value in this one is in its originality. 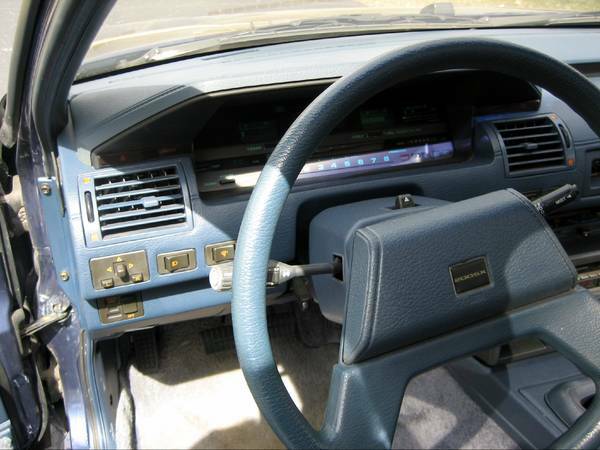 I'm so tired of seeing every Japanese car modded to death that it's refreshing to find an unmolested one. That's why the price of this one is so high. I still think that $9K is insane though. May as well get a 300ZX if you're going to spend that much. I can't argue with that logic. It's only original once. I've always liked these. It's a shame that the corolla ae86 seems to get all the rwd hatchback love while these lurk in the shadows. I've always wanted to drive the version with the z31 v6.